Today we are pleased to present a rare find. 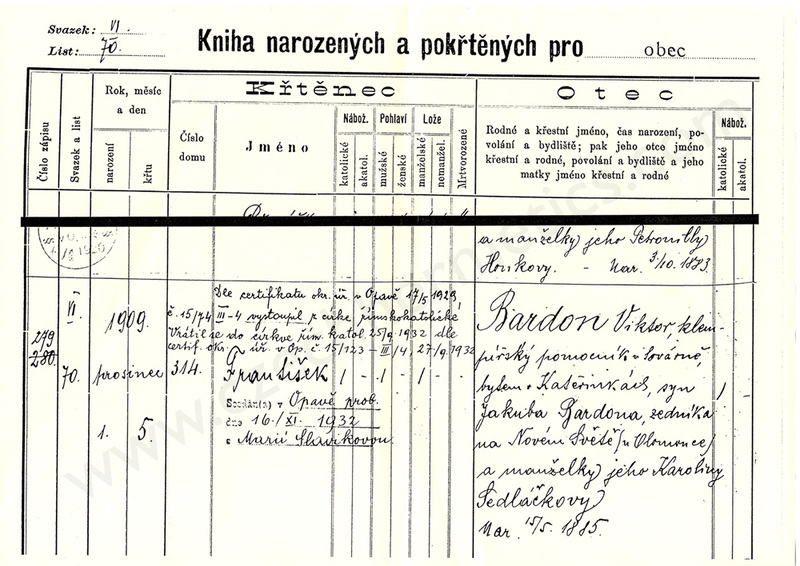 Franz Bardon’s Birth certificate. You can see the name of Franz Bardon, together with the name of his father, and with dates along with the place of birth. Of interest is the mentioning of Bardon leaving the Catholic church on 17/5/1929 and returning to the Catholic church on 25/9/1932, leaving him with 3 years outside of the Roman Catholic church, before he came back, and according to oral tradition, as a result of his evocation practice. Around this time, there was a great amount of anti-religious propaganda coming from the state, so returning was considered a bold move.